There is a widely held belief that whiskies from different parts of Scotland exhibit distinct regional characteristics, and, whilst this is very broadly true, it is a far cry from the simple way to predict a malts character that many would advocate. The first mention of regions was in the late 18th Century when ‘The Highland Line’ was created, with the Highlands to its north and, not surprisingly, the Lowlands to the south (It doesn’t, however, follow the geological fault line that Geologists had long recognised, instead it is an imaginary line running from Greenock in the west to Dundee in the east). But its purpose was not to define any kind of style, merely to allow for different taxes to be levied. For almost a century, Highland and Lowland were the only two classifications of Scotch Whisky, until the advent of blending in the second half of the 19th Century, and the marketing boom that accompanied it. From as early as the 1860’s, labels started to appear declaring that the contents were from specific areas, but other than that, there was no formal recognition of any other regions. By the early 1950’s, when the Scotch Whisky industry had started to recover from the closures during two wars, the recently formed (1942) Scotch Whisky Association was informally recognising just four regions – Highland, Lowland, Islay and Campbelltown – plus a subdivision of Highland in to “…Glenlivets and Highlands”. This remained the accepted view until the 1980’s. In 1988, UDV (United Distillers & Vintners, now Diageo), the largest of Scotland’s whisky producers, introduced “The Classic Malts of Scotland” range, to cash in on the growing popularity of the sector, which had been in decline since the last war. They chose to offer six malts, each from a different ‘region’; they chose to call them Highland, Isle of Skye, Speyside, West Highland, Islay and Lowland. The idea of more than the existing two regions was picked up by writers, eager to introduce the greater public to the delights of Scotch Malt Whisky, in particular, Michael Jackson (no, not that one…) who, in 1989 wrote of the ‘Classic’ regions as being the Highlands, which included a sub-region of Speyside, the Lowlands, Campbelltown, and Islay. For 30 years, these 5 regions were generally accepted but were strictly unofficial until The Scotch Whisky Regulations 2009 finally enshrined in law, but with a couple of changes. Firstly, Islay and Campbelltown are legally defined as ‘Localities’, and Speyside has finally become a region in its own right. Both The Classic Malts range and the whisky writers of the late 80’s and early 90’s endeavoured to simplify Scotch Malt by suggesting that each region had a distinctive style. Jackson, for example, wrote that the Lowlands produced ‘…whiskies in which the softness of the malt is evident”; Speyside malts “…are noted …for their elegance and complexity”; Campbelltown whiskies “…are very distinctive, with a briny character”; and Islay produced malts “…noted for their seaweedy, iodine-like, phenolic character”. He did concede that the Highlands as the largest region, had a couple of styles, those from the north showing “…heathery, spicy character”; and the east and midlands produce “…notably fruity whiskies”. In reality, these generalisations about regional style are broadly false. Just because a distillery is located in the Lowlands, there is nothing to stop it from using Islay malted barley to produce a ‘seaweedy, iodine-like, phenolic’ whisky. Likewise, two Islay distilleries (Bruichladdich and Bunnahabhain, the most unpronounceable) were long known for producing very fresh and light whiskies. So, do the official regions, as finally defined just 10 years ago, really have any function? Yes, firstly, and particularly in the two larger regions, many of the distilleries will exhibit similar characteristics and, if you find you like one, there’s a good chance you’ll like its near neighbours; and secondly, as a marketing tool, to encourage newcomers to whisky to recognise that there are different flavours to be found and to ‘travel the country’ trying different malts. Campbelltown sits at the southern end of The Kintyre Peninsula and, is very much like an island (one road in, the same road out). It was once home to over 30 distilleries and was the first, true whisky capital of Scotland. 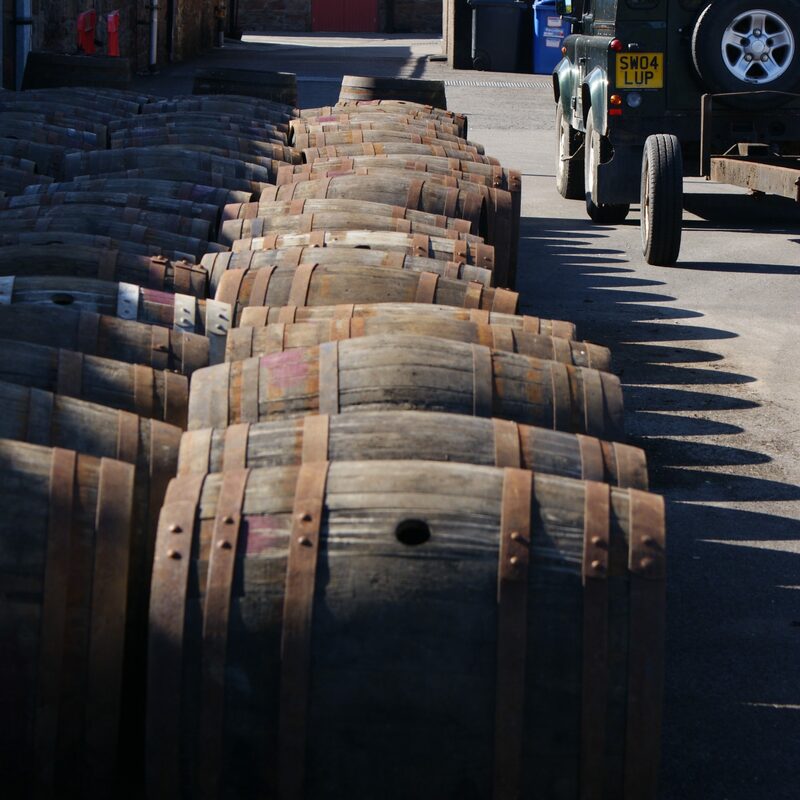 Despite its geographical isolation, it is only a short boat journey to Glasgow and it was there in the early 19th century, that most of its production was sent. Alongside good land for growing barley, the peninsula was also blessed with peat bogs similar to those on the islands, and a coalfield at Machrihanish. Along with the fact that nowhere on the peninsula are you far from the sea, the mix of coal and peat for malting the barley and the salt in the air contributes to the smoky and briny character usually found in its whiskies. Today only three distilleries survive, Glen Scotia, Glengyle and Springbank, although the latter still uses the names of two long-closed neighbours for some of their production. The most widely available bottlings from each distillery do exhibit the ‘regional character’, although older and more limited releases don’t always. Likewise, the whiskies released by Springbank under different names are not at all typical; Longrow is a heavily peated whisky much more like a classic Islay; and Hazelburn is produced entirely without smoke and so is much more akin to a classic Lowland malt. The art of distilling Uisge Beatha – the water of life – was likely brought to Scotland by Irish Monks, and as – along with Campbelltown – Islay is closest to Ireland, it seems very probable that this is where the first Scotch Whisky was distilled. It may be that the Islay style of whisky is the most authentic Scotch Whisky. The island has all the things necessary to produce whisky; fertile soils to grow barley; water, plenty of water; and of course, the all-important peats for malting the grain. On Islay, the peats contain much more sea vegetation and salt than those cut in the Highlands, simply because it is a small island, constantly washed by the Atlantic Ocean. The resulting malted barley has a higher phenolic content, often described as antiseptic and occasionally resulting in slightly ‘fishy’ tasting spirit. Along with its history and its somewhat isolated location, the island was, from 1727 owned by one Daniel Campbell MP of Shawfield in Glasgow, and he and his descendants did much to encourage their tenant farmers to establish distilleries over the next 120 years. The Campbells of Shawfield were also responsible for the collection of taxes on the island, something that may have been ‘overlooked’ in many cases, allowing the distiller to continue making whisky in the same way as they always had. At the same time, their mainland counterparts were often increasing capacity and cutting corners in order to minimise the tax they were paying and maximise their profit. In the 19th Century, there were at least 21 legal distilleries on the island but only 7 of these survived in to the 20th Century, with Bowmore, founded in 1779 being the oldest. Along with Lagavulin, Ardbeg and Laphroaig, Bowmore is known for producing a strongly peated whisky, although less so than the other three. The very distinctive style of the three Kildalton distilleries, as they are collectively known, is often presumed to be the Islay style. However, of the other three 18th and 19th Century distilleries on the island, two, Bruichladdich and Bunnahabhain for many years only produced fresh, light whiskies. The seventh, Caol Ila predominately produces ‘typical’ Islay spirit, but in recent years has released a much sought after unpeated expression. Conversely, both Bunnahabhain and Bruichladdich have released peated expressions recently, in the Islay ’style’. In the last 15 years two brand new distilleries have opened on the island; Kilchoman in 2005 and Ardnahoe in 2019. They have both opted to produce whiskies that are heavily peated. Likewise, the planned reopening of the Port Ellen Distillery which closed in 1983 and an as yet unnamed new distillery on the Kildalton road will also produce ‘typical Islay’ whiskies. Interestingly, with the exception of Kilchoman, every one of the distilleries, including the new ones, is right on the seashore, and the old ones all have there own pier which they used to bring in supplies of casks, coal for the boilers, and to ship out the finished product to the markets of Glasgow and beyond. So, with every one of the islands 9 (soon to be 10) distilleries producing a peated spirit, it is fair to say that the island’s peat is Islay’s signature, but it can range from Bowmore’s fairly subtle smoke through to Bruichladdich’s Octomore range which claims to be the peatiest whisky ever made. The Highland region, defined as being north of an imaginary line between Greenock and Dundee, is by far the largest and includes distilleries on the coast, up glens, in towns and all of the islands except Islay. It will come as no surprise to find that a ‘Highland’ style is almost impossible to define. The distilleries by the coast, both east, west and north, do share some similar characteristics, for example, Oban (on the west coast), Clynelish (east coast) and Old Pulteney (north coast) are often said to have a salty tang and only a subtle smokiness. Likewise, the two whiskies distilled by the Dornoch Firth, Glenmorangie and Balblair, both have distinctly fruity notes. Then there are the islands. Many would advocate that they are actually a region in themselves, but there are vast differences in style between individual distilleries. Talisker on Skye and Highland Park on Orkney have more in common with the lightly peated whiskies from Islay than, for example, the other Orcadian distillery, Scapa. And, confusing matters still further, once again we have distilleries such as Arran and Tobermory producing two styles, a light fruity one and a heavily peated, smoky one (in the case of Tobermory the peated expression is bottled as Ledaig and a new distillery will shortly take over the production of smoky whisky on Arran). Looking further south, distilleries on or close to the Highland Line have characteristics more in keeping with the ‘Lowland’ style than many true Highland whiskies; Glengoyne, for example, uses no smoke at all when kilning the barley whilst Deanston often has a slightly honeyed note. So similarities can be found, but most definitely not right across the region. Does that mean there is no ‘Highland’ style? Well, yes, although, in a blind tasting, if you can’t identify a whisky as being from another region, there’s a good chance that it’s from the Highlands! For much of the late 18th Century and the early 19th, the Lowlands was the ‘powerhouse’ of Scottish whisky production with over 200 distilleries known to have operated. The Wash Act of 1784, which defined The Highland Line, encouraged the use of larger still and grains other than barley, which grow well in the fertile Lowland soil, were often included in the mash, both of which contributed to making a whisky with a light, dry character. Much of it, however, back then, was of very dubious quality and it was often exported to England to be redistilled into gin! With the main centres of population close by, there was a ready market for whatever was produced. Until that is, better quality Highland whisky could be transported more easily, with the introduction of railways. Until recently, the only old Lowland distilleries to survive into the 21st Century were Auchentoshan, Glenkinchie and Bladnoch. They do all have a light, grassy or herbal notes and as a result, Lowland has been the easiest regional style to define. However, six new or revived Lowland distilleries have already released whisky and at least another ten are in (or very close to) production. While some of the newcomers, such as Eden Mil, Daftmill and Kingsbarns do, very broadly fit in to the Lowland style, others such as Ailsa Bay certainly do not. So, a little like Islay, there is a general style that can be said to be ‘Lowland’, but not every whisky made in the region conforms. The region we know as Speyside was until very recently (2009) included in the Highland region when talking about whisky and a number of long-established distillers in the area continue to call their whisky Highland Malt. It is surrounded on three sides by the Highland region and, although named for the river which flows through the middle, it is bounded to the west by the River Findhorn and the east by the River Deveron. Very few of the distilleries in the region are actually on the Spey, most are on one of the other rivers, a tributary or sit some distance away. Despite Speyside today being home to around two-thirds of all Scotlands distilleries, there is only one which can trace its history back to the 18th Century, Strathisla (on the River Isla). Nine others were built in the early 19th Century, but the bulk were opened in the second half or the 20th. Although the area had a long history of illicit distilling, it was the coming of the railways which made it attractive to entrepreneurs cashing in on the increasing popularity of Scotch. Whilst the region has good barley growing land and plenty of peat, it is water that it has in abundance. To support so many distilleries, the railways were able to bring in more barley along with casks, and take out the finished product, straight to the city markets of the south and overseas. The catalyst for the whisky ‘boom’ were the newly founded blending houses, names still familiar today, such as Ballantines, Teachers and the Chivas Brothers. They needed consistent supplies of whisky and so these new distilleries were designed and built to provide just that. It is perhaps no surprise then, that Speyside whiskies are often quite similar in style, some are at least partially aged in ex-sherry casks and most are quite soft and sweet, often with only the merest hint of smoke. They can, however, be very complex and that is what makes them so popular, both with the blenders and drinkers. Of course, as we have seen in other regions, there are exceptions to the rule. Benromach, at the very edge of the region, distills a more traditional style of spirit, with more smoke than most others in the area; BenRiach and Glen Moray both produce heavily peated whisky in addition to a ‘classic Speyside’ style, but they are the exceptions. For the most part Speyside whiskies do conform, and given that there are so many of them, that leads many people to believe that regions do actually have a style, something that cannot, in reality, be universally applied. Do the ‘traditional’ whisky regions serve any purpose? Well, for a start, they are not really traditional, having only been enshrined in Law in 2009; and if you go back further than the late 1980’s, there were only two officially recognised. So, they are a recent invention, a product of the second ‘whisky boom’. Have they any purpose? Well, that depends on your viewpoint. In reality, they were invented by whisky writers, trying to find ways of getting new, particularly young, drinkers into Scotch Whisky. In that context they do have a value, encouraging newcomers to look beyond the first dram they find that they like; either trying something that might be similar, or something completely different. On the other hand, trying to suggest that all whiskies from a region are similar in taste is completely misleading, particularly today, when so many distilleries are making more than one style of spirit. It is fair to say that, in a random selection, you are likely to find that two Speysides, two Islays or two Campbelltowns are similar, but it’s fairly unlikely that two random Highlands, or these days Lowlands, will have much in common; and when you explore further, your third choice from any of the regions may well be totally different. So, the idea of regional style is misleading? Yes, but if it encourages new enthusiasts to explore, then it is serving a worthwhile purpose, even if that purpose is to prove that there is no such thing.